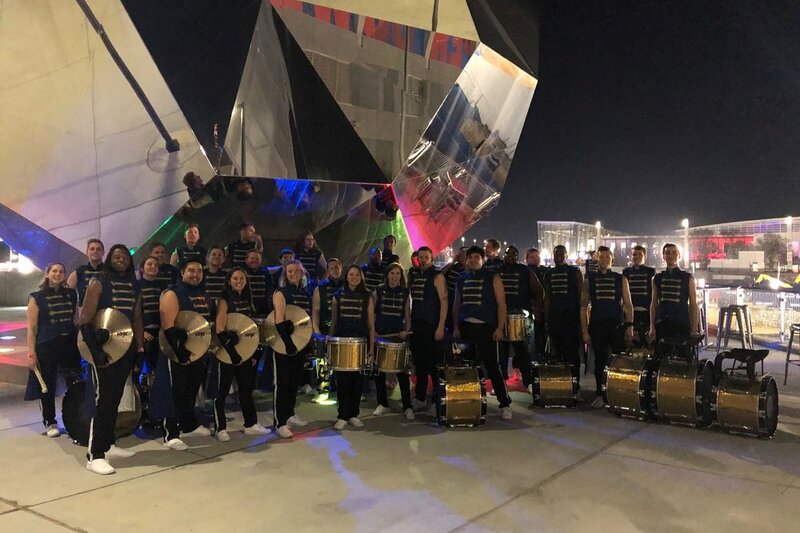 Seavine goes to Super Bowl LIII with Equinox Percussion and Maroon 5! Imagine a large NFL stadium where all 100,000 seats are full of screaming fans. Now put 5,000 of those stadiums next to each other totaling 500,000,000 people and that’s how many viewers watched Equinox Percussion throw down at Super Bowl LII with Maroon 5! Seavine was thrilled to play a part in this historic night. The “Maroon 5 Cymbal Line” was comprised of Zack Blessing, Seaon Carter, KC Stanley, and Seavine CEO Chelsea Levine. They were sporting black pairs of The Cymbal Gloves, Cymbal Pads, and Cymbal Straps. A huge thank you goes out to SABIAN Cymbals for providing the cymbal line with brand new plates for the game. When reflecting on the experience it wasn’t just the setting foot on stage that excited the group. "I think one of my favorite parts of the Super Bowl LIII was the staff that helped us throughout the rehearsal process and of course the 3 day rehearsal concert by Maroon 5. Derek and Jamye are two very personable and communicative people and we were so lucky to have them guide us through the Super Bowl process.” said Blessing. The week long rehearsals went smooth as can be for EQX thanks to the amazing staff and members on both sides. Check out a replay of the beginning of Girls Like You by Maroon 5 featuring Equinox Percussion. Please Welcome Izzi Jasperse to the Team!